A covert earpiece is a very small listening device that is often worn by someone who wishes to be able to wear an earpiece and not have it be visible. The advantage of this form of earpiece is that the wearer is able to use it as a radio accessory and yet not have others be aware that they are using an earpiece to communicate with others. 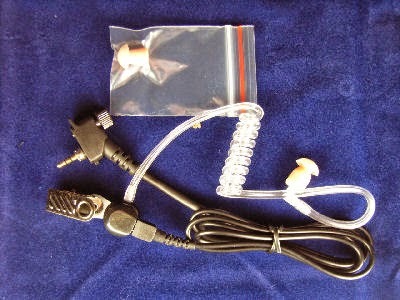 A covert earpiece is often referred to as either a surveillance earpiece or invisible earpiece and it is quite common for the likes of law enforcement officers on undercover assignments, security personnel, government agents, and also spies, both corporate and government to wear such a device while undertaking tasks that require privacy and secrecy.